Erum Sattar: Ok. So I want to pick up on this by bringing in Aisha a little later, who has a great paper which I will describe to you, which I just finished yesterday. But Duncan has his hand up, so we take Duncan first. Duncan Kennedy: I have a quick question for David which is about commoning--is about the experience of commoning [inaudible] as a kind of radical to [inaudible] other periods of rational economic acting or homo economicus. [...] I think it often looks to the lawyer involved with commoning [inaudible]. They’re always embedded in a structure of legal rule. So, what commoning is like subjectively is not just a function of the spirit of the commoner, but also of ground rules for commoning. No commoning without some ground rules. And so one of the things I would like to ask you about is actually from my own experience working on limited equity co-ops. A big issue about the ground rules for commoning has to do with the extent to which the decision processes of the commons are, say, radically egalitarian or parliamentary, the extent to which the commons has a kind of constitutional structure, some hierarchy. Is there an administration that can do things even though a member of the commons rejects? So I see this as reproducing pretty basic conflicts about political justice that are conflicts within the left: in people who are more radically egalitarian/collectivist [and] people that are much more hierarchical but still radically leftist, understandably. How do you come out about that kind of issue when you think about commoning [...] ? David Bollier: Well, I guess because I’ve seen so many variations and I’ve come not with the presumption that it splits into paternalistic republican versus egalitarian left that I-- Yes, those dynamics exist. I don’t want to deny that, but I guess I’ve seen a far greater unpredictable heterogeneity of it. The digital world is an experiment in the making of what is going to be seen as fair and legitimate, what is going to be also effective, what are the rules for self reform? I guess the bottom line is [...] the rules have to be developed by the participants and perceived as fair to be really binding and effective. How that shakes out is, I think, entirely negotiable. Now, I’m not sure if that answers your question or if you feel it’s begging the question, but I think that it is an under-theorized proposition which will vary greatly from resource domain to resource domain, from [one] cultural history to another. I’m reminded of a metaphor I often used, that scientists say that DNA is underspecified precisely so it can adapt to local circumstances, and it does. And I think the commons is the same--that a forest commons in Vermont will be very different from one in Nepal versus one in Germany, and I’m not sure if we have a taxonomy yet for governance regimes there. And the Ostrom literature is one massive set of case studies with very few generalized principles. Now, do you want to be a Procrustean and say “Well, this fits into eight archetypes,” or do you want to see, as I do, there [are] certain interesting clusters around certain resources or countries, or I think this is still kind of an open theoretical territory about how we taxonomize--if I can make a verb out of that--commoning activity. So I’m, I think, more agnostic than established on that. If you’ve ever played EverQuest, which is a game--it’s devised on a Lockean system--you kill bunnies and you get money. Well, that system still ends up reproducing things that we would have outside of that game, and then they enter the game. Another example is the Navajo Nation is traditionally a matriarchy, but when we wanted to--"we" being the non-indians--wanted to recognize their government, we picked men, and since then, men have been fairly in charge even though the inheritance follows women, and women can do divorce simply by putting the saddle outside the hogan, and that means the man’s supposed to ride away. So I think you have to look at both the initial establishment [and] also those rules that get established by the participants. Do those rules end up reinforcing or going back--falling back--on what they found outside of that world? And one final concrete example is in Community Action, which was an effort in the War on Poverty, Community Action was designed to get maximum feasible participation by the poor in these programs. But the reviews are very mixed, and it depended upon whether or not the poor people were figureheads, whether they had active roles in constructing this. And even if they did have active roles, did the other stakeholders, like the city government, support their efforts? And so I think, as nice as it would be to set up a perfect system, then you have to deal with what happens afterwards and what people bring to it. David Bollier: Another quick add on, I would say, is it’s important not to get sucked into the trap of applying economistic or resource management presumptions, important as those are, because oftentimes, I think, a commons will be about identity, lifestyle, history, [and] all sorts of other factors that are not crypto-economistic. And, I think in Emerson College they started something called “Theater Commons” called “HowlRound,” and it’s nonprofit theaters, community theaters. Well, you know, is this a “resource” being managed? No. It’s sort of like we can come together and affirm our identity and have positive benefits from it, et cetera, et cetera. So I think we need to sort of get out of the trap of a lot of presumptions where we have a finite or intangible resource, we have a physical--you know, a lot of these categories--really, I’m always being surprised. I say that because I’ve been surprised at tripping across new types of commons that I had no idea which existed that don’t conform to those categories. Erum Sattar: So I think that what I wanted to bring Aisha into the discussion for is what you were just saying [...] that there is no one typology. There are lots and lots of case studies, and, say, if managing an irrigation canal will work very differently in different countries, and those are very contextual things. So I’m trying to think about the ability of different places to manage their commons and self-organize. And how do we start thinking about that? Are there differences in these abilities? Is that some kind of stage that we attain? David Bollier: Well, I grappled with this. I’ll just reference--I wrote a book with an international human rights professor last year called Green Governance: Ecological Survival, Human Rights, and the Law of the Commons, and it was our attempt to grapple with "what would an architecture of law and policy to support commons look like?" Because, you’re right, commons often have worked simply because they’ve been too isolated from the State that nobody paid them any mind. But if we’re going to leverage the capacity of commons, I think that state law has to affirmatively have some way to facilitate and recognize, as opposed to simply destroy, through the standard neoliberal framework, the functioning of commons. I think that’s really a significant challenge. Erum Sattar: So what I want Aisha to just talk about is this ability of people to organize. She has this great anecdote in her story, in her paper, which I’ll have her tell. It’s the one where it’s the building of the road and the road is redirected so that someone gets all of the value of then selling the land to the government. Just talk a little bit about that. There’s so much insider collusion, people who gain from being able to access state power, you know, in terms of land categorization. And how, then, do the people around this land develop, who have no idea something is coming like a road project, you know, where are they left, and where is the value? Just narrate that a little bit. Aisha: Just a short summary of that--two brief examples in the paper--It’s a land acquisition paper [on] eminent domain. [...] There’s this big highway that was built in Pakistan in parts of a province in which it would have been efficient, in terms of distance and construction and all of that, to have it go a certain direction, and instead they rerouted it so that it would pass through certain cronies’ lands so that they could get the money from the government for compensation. And those kinds of things are not at all in the public domain. I had to interview an ex-[...]bureaucrat[...] I had to interview him and then he wasn’t initially telling me about it, and then he was like, “Ok... Do you promise it’s off the record?” And, of course, I said, “Yeah, it’s off the record.” So, that sort of stuff is just not in the public domain. I remember one [...] really interesting and unfortunate incident that happened was that [...] these [...] assigned bureaucrats came in and said, “Ok, you know what? We’re going to demolish if you’re not going to leave your land.” And [the Christian minorities were] like, “But we haven’t figured out all of the procedural nuts and bolts of this.” And [the bureaucrats] said, “Well, we’re going to do it anyway.” And [the Christian minorities] said, “Ok, fine. Demolish all our homes, but don’t demolish our church,” and they sort of stood around the church, and [the bureaucrats] didn’t care. They demolished it anyway. So, in terms of organizing... So I don’t even know if I would categorize this as a commons, and, clearly, I feel like no one really knows what to [categorize as a commons]. That’s a take away from this conversation is nobody really knows what that is. But in term of organizing, I think the biggest problem is information when it comes to [...] the State and how it interacts with people on the issue of land and property. Ezra Rosser: So, I’ll just say a little bit. I think one of the challenges with this is even when you see a clear causal connection between what the community wanted or what a private developer wanted, those things can change over time. And so, the example I have is--there's two--one is in DC. Rock Creek Park was founded because a developer, who was developing Chevy Chase, wanted a park next to his land to increase the property value. That seems very much in line with the story that was first told. And the reaction was the poor people hadn’t taken over all the park. So, they actually left the poor people there [and] built a road which serves the poor community but also serves the larger city. But then, on the other portion, allowed private development [to] occur that would have faced a protest by the people for destroying the parrots. And I think what you see there is what looks at first like it’s “pro-poor” or “pro-this-community” ends up then going towards the community that had the power to begin with, this one family. Last example on this[...]: When you buy property in El Salvador, one thing you look for is if there’s already somebody living on your land, because then you have to pay them. And you have a right to their property as long as you pay them enough to force them to move, so you have a sort of take. You can take it as a private matter, but you have to give them compensation. Well, the question becomes is that a good or bad thing, right? And I think there are mixed reviews. So you can have a pro-development standpoint that said, “This is part of why the poor are now commuting three hours to get into the city: because everyone’s afraid of doing something with their land.” On the other hand, you could have, “Those people are there. Let’s protect their interests.” And so you can, even within, however you define, that community, have internal group conflicts over the value of these rules. audience member: All this discussion makes me think that maybe we ought to consider that there are distinct types of property--that not all property is the same. And many of the problems I hear being described here, I think we can see intellectual solutions to them if we think of a category of the commons in nature. And what would fall into that category, you know, in terms of digital development and so forth, we might have to think about, but a good starting place is the commons in nature, and that’s a distinctive type of property. Socially-created value...should not got to private landowners but should be...returned to the community that created the value. For example, I hear the term “landlord” and then we talk about the house. No: the landlord owns the land. That’s where the value comes from. The building on it loses value--it does not appreciate in value. The land is the commons in nature. And when we begin to understand that naturally occurring resources, by right, belong to everyone and then figure out something on the order of the Alaska Permanent Fund of a way to return that value to the community. And community--and socially-created value in the form of schools, roads, et cetera--should not go to private landowners but should be taxed in such a way that the value is returned to the community that created the value. And so I think we have to look at making a distinction between different types of property. Erum Sattar: Let’s take one more, who happens to be a teaching fellow for Unger. Mccabe Kelleher: No, no, I’ve been at the other end of it, as well. My name's Mccabe Kelleher, I’m a doctoral candidate in the history department at Harvard University. 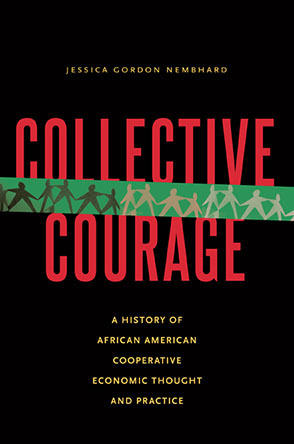 This discussion here about the role of the State raises the question of the relation of property to these other aspects of our social and political world--the State, the economy, work relations--and which seems to call for the need--in order to link these projects, such as cooperatives or the commons--to a larger project which incorporates these other aspects to it. So, if I could start from the very beginning of which David brought up, which is this conception of who we are. And to understand us just as rent-seeking, rational individuals is much of what our ideas of the government organizational complex--property, the economy, and work relations--is founded on. But, if we conceive of ourselves as more than that--as people who also try to find solidarity with others--then this leads to the need to begin to rethinking all of these aspects, not just property [and] property relations. So what that would look like, I think, would be conceiving of something like the commons not just as its own project of the commons but also in relation to the State--to rethinking the State, to rethinking work relations, to rethinking the economy. David Bollier: A friend of mine, Michel Bauwens of the Peer to Peer [P2P] Foundation, has proposed the idea of a triarchy of commons, state, and market in which the State plays affirmative supportive roles, and so he’s sort of trying to grapple with some of these. But I fully agree with you, that we need to sort of rethink what is the State’s relationship to various types of commons in a more formal way and perhaps even, as necessary, sanctioned by law. Ezra Rosser: On the first comment, I just wanted to say one way to think that we had this--Duncan had said that there isn’t, from the left, an alternative vision. One of the thoughts that others have put forward is that maybe we’re just not looking at the right places for those, and indigenous people on this do sometimes have different visions. There are tribes in the northwest that didn’t really recognize rights in land, but they recognized extreme rights in fishing sites that we don’t recognize now. And then, on the second comment, my challenge--I will just say, if you’re thinking about being a legal academic, my most read thing is a parody on becoming a legal academic. And what is in there--and also just in my own life--is an angst. And I think the angst here is may be, in fact, who we are is that. We, as a society, may be overly homo economicus than we should be. And so I think we saw a little bit of this play out in the popular culture in that ad--sort of dispute--between [...] the Volvo ad that played in the Super Bowl versus the [Cadillac] ad that recently played. [...] Cadillac said you’re an engine of making money, and the other one said no, you want to make the world a better place. And I look at my own life, and I look at Americans, and I think we are so individualistic, and we think that’s right. And then I go to where my in-laws are in El Salvador, and El Salvador has the fourth highest happiness in the world despite being much poorer than we are [and] having many more struggles and challenges. If I were to look at those two things, I might think their idea--which is less individualist, more family-based--is a better understanding of who humans are than we as a society have embraced. Erum Sattar: Please- lots more hands going up. Please go ahead in the back. Jonathan: Hi. My name’s Jonathan, and I’ve never studied property, but [...] in my readings of the restatement, I never encountered the word “commons.” Could somebody please tell me what that is? David Bollier: Well, in the way that the market is a social construct that embraces everything from commodities, futures, to a lemonade stand, to a hardware store, and a restaurant, it’s an umbrella term. But in a more focused term as a commons, it’s self-organized governance and resource management that has many elements of culture and identity and social relationships embedded in it. audience member: I just wanted to flag that--I mean, it seems to me that [...] the place where you could say the commons is most represented in existing American law is in corporate law [panel laughing and nodding, audience member inaudible] [...] that was initially given by states for select, very narrow purposes. There was no indefinite life, and it’s now evolved into something that is incredibly easy to form, and there is almost very little or no oversight. David Bollier: It’s like an agreement that we’re going to share our relationships but in a monetized, contractual way, and that’s the terms of the economy. I mean, in some ways I consider the market a subset of the larger commons genus, but that’s a very interesting point. Erum Sattar: Please go ahead. audience member: So, I apologize because I missed some of the conversation in the middle, but I wanted to respond [...] We were talking about the relationship between the commons and the State, and I maybe want to just make a comment about the relationship between the commons, property, and politics. And, David, you opened by talking and sort of invoking a communitarian kind of radical idea of depoliticization, or repoliticization, or somehow transcending the traditional left/right distinction. And I just want to point out that when we’re talking about the neoliberal order, one of the cornerstones, it seems to me, of that neoliberal order, and in its political strategy, has been to perform a similar kind of move where the neoliberals come in, and they say, “Enough with this left/right squabble. We’re here with a real answer that is the right answer.” And it’s the “right answer” because they’re appealing to something that isn’t left/right. And to me, I think there’s potential to repoliticize some of these things like the commons and like forms of communal property. And I think there’s value in a line-drawing exercise and in saying there’s an “us versus them” distinction, which you can get strength from when your enemy is a force that tries to deny that that line even exists and tries to say there are no friends or enemies here. David Bollier: Well, I would guess I would disagree with your characterization that the commons asserts a universal or totalistic approach as well as one that depoliticizes, because I think that, if anything, the commons puts back on the table [that] this is political. [...] But it’s political and highly diverse, situational, and so forth. So, to that extent, I think I would disagree with your characterization. I think it opens up a conversation that’s otherwise shut down. As far as the left/right spectrum, I think you’re right. There is some value to excluding, but it’s only excluding those who would “illicitly” privatize or appropriate against the rules of the commons as negotiated. So this implies a certain stance towards the market, and its, let’s just say “market behavior” or, even more precisely, capital-driven markets which are far more predatory and acquisitive than, say, a farmers’ market. So those are the distinctions I would introduce into what you said. I think it’s a more complicated and diverse scenario. Ezra Rosser: Yeah, quick thing--I guess I wonder if this isn’t just a general problem of anyone on the left versus the right and not necessarily about the commons or not. And so, to go to Unger, one thing that I do remember from when I had him was the idea of stating a goal versus just going in a direction and the importance of, perhaps, moving in a direction even though you can’t agree on the end goal. And I think to some degree you can see this in scholarship as just a choice, and I will say I make this choice all the time. Do you meet the conversation where it is, or do you exit the conversation? In my own work, I have at times exited the conversation, and then no one reads it. And at other times, when I meet the conversation where it is, it gets more read. And so I think the challenge is how do you meet the conversation and yet still note that there’s a difference between the people you’re talking about and then yourself. Lastly, I think there is a connection with the corporate law point. When [Ronald] Coase came out with his book that had all three of his essays, his introduction said, “Why are we talking about this? We’re not in a Coasian world. We need to move on.” And we just don’t listen to that Nobel laureate on that point. Malcolm: Ok. [...] I was trying to think of how to phrase my idea in terms of a question, and I was having some difficulty thinking of how to do that until the gentleman at the back asked the question about how do you define the commons and the absence of any mention of the commons in the restatement. And I just ask you which restatement are you referring too? [inaudible] And I’m very curious as to what our panelists think about this idea that the reason it doesn’t appear in the restatement or the reason why perhaps the commons doesn’t fall under property law--black-letter property law--is because the commons in property is terra nullius. And, historically, that’s where the commons lay; it was in terra nullius. So I just would be interested in your thoughts on that. And I just want to tie it to another thought that I had, which is that, at least in the history in the Canadian context, which is where I’m from, terra nullius was inhabited, but there was this notion that terra nullius was a commons for the taking of the colonizer. David Bollier: That’s precisely--you raise an excellent point. This was John Locke, of course. It’s been a standard justification for the takeover of shared resources from North America to even today: biopiracy and genetic resources in Madagascar, India, and so forth, and I think that’s a really important point. I think the reason that it’s not--property is missing not only from the restatement, I might add, from most economics textbooks, because even though an estimated two billion people live their everyday lives depend[ing] upon forestries, fisheries, wild game, irrigation, water, [and] farm land as commons, it’s not mentioned at all except as “the tragedy.” And I think it’s because it’s non-market behavior in which money’s not being exchanged. There’s no contracts and so forth, and therefore no GDP, and, therefore, why do we care? Ezra Rosser: And I actually have a different thought. I think [...] if you look for it, the commons, and this goes, I think, with your point, you see the commons everywhere. And I think one of the ways to think about this is on law and economics--and Eduardo’s paper put this in a footnote--what do you do with the fact that it’s being complicated by things like behavioralist or behavioral law and economics and ways in which we’re looking now to what happens below the rule level? And that stuff below the rule level has been a subject of property theory--Shasta County or Elixson stuff on what happens in either the home or in these informal communities. But we just don’t do it or talk about it as a commons even though that’s what it is. It’s what happens in the absence of these formal rules? And so I think the same is true with land. We don’t think of it that way, but it definitely was. David Bollier: To put Ptolemaic epicycles, to save the regime. Mark Purcell: Hi. My name is Mark Purcell from the University of Washington. I’ll be in one of the sessions later. I’m actually wanting to respond to your point, but I’ve been wanting to just give a shout-out to the General Public License discussion, and the Berkeley Software Distribution, and the MIT License, and the various licenses, the Creative Commons license, because I think they help us across the board in so many different ways. But to speak to the theme of the session, there seems to me to be a fair amount of angst in the sense of the possibility of living as a subject, as a commoner, as seeing oneself as a commoner, but “if we look for the commons, they’re everywhere” kind of argument. And one of the things that seems to help is to try to exist in a world in which it’s taken for granted that the commons is a better way of living. And I think that software world, in which there are licenses, as you pointed out, there’s licenses that are sort of supposed to be legal, but they’re not really litigated. They’re not really laws. They’re not really copyright. They’re just norms. They’re sub-laws. They’re taken-for-granteds. Of course you would do it this way. David Bollier: A legal fake-out. Mark Purcell: Yeah, in a way. And there’s lots of debate about them, right? The open license that allows for re-enclosure, and the license that does not allow for re-enclosure, for example. And there’s debate about how we should write these, but it’s kind of a strange debate because there isn’t real litigation around. But there’s a set of very well established and well discussed and well defined norms around a set of ideas that just make perfect sense. Why would you enclose? Enclosure doesn’t make any sense. Enclosure’s not the way we do things. Enclosure [...] gets in the way of things. Share and share alike: that’s how things work better. And living in that world allows you to just get a little therapy--get a little sense that this is possible, even if it is marginal. It’s not marginal while you’re there: it’s common sense. That was an unintentional pun that perhaps could be taken [incomprehensible]. Erum Sattar: That seems [...] like a great note to end on. Thank you so much. We’ll move to lunch and continue the conversation.